If you get a massage in a wellness center or a spa, you’ll most of the time encounter table massage but for those who call a massage therapist at home or at the office, they usually bring a portable chair massage which is more convenient for this situation. In this article, we wanted to give you an overview of the differences between a chair massage and a table massage with pros and cons and some useful information. Generally, table massage is perfect for full body treatment and ultimate relaxation as it allows the therapist to work on your muscles and body parts giving you a relaxing feeling. On the other hand, seated massage is good for treating specific knots and painfull spots that are related to neck, shoulders, back and other areas in a shorter session. 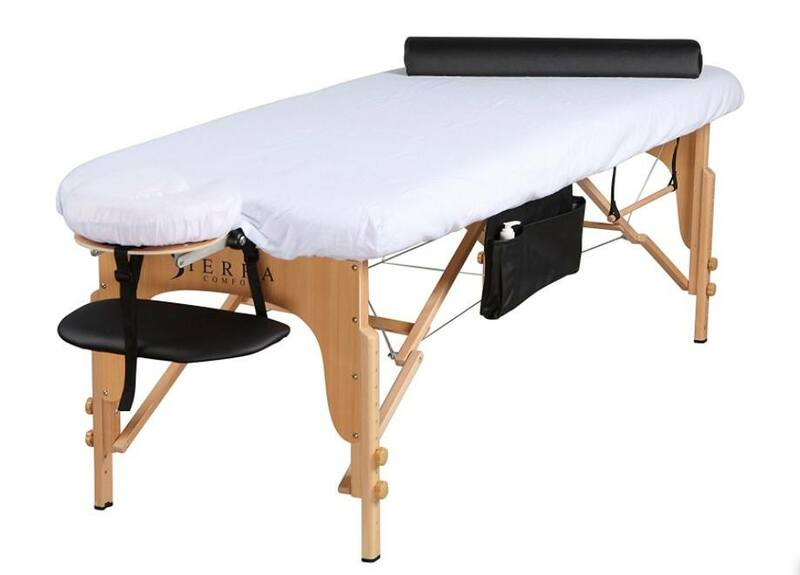 The main purpose of table massage is to give the body a full and deep relaxation while addressing all muscle tensions and any eventual problem. The therapist can reach more sensitive spots while you are laying on a table than on a chair. Chair massage is geared towards mainly relaxing muscles of the back and shoulders. No matter if you own an electric massage chair for your personal use or make an appointment with a therapist while being seated, you won't get as many benefits as you could possibly have with a classic massage table. With a table massage, the masseuse is able to manipulate your entire body and relieve any soreness, trigger points and stress related tensions. We you get a table massage session, it often includes foot, shoulders, back , legs, chest, stomach , arms, and hands massage (sometimes also the head). Basically, unlimited positions are do-able! 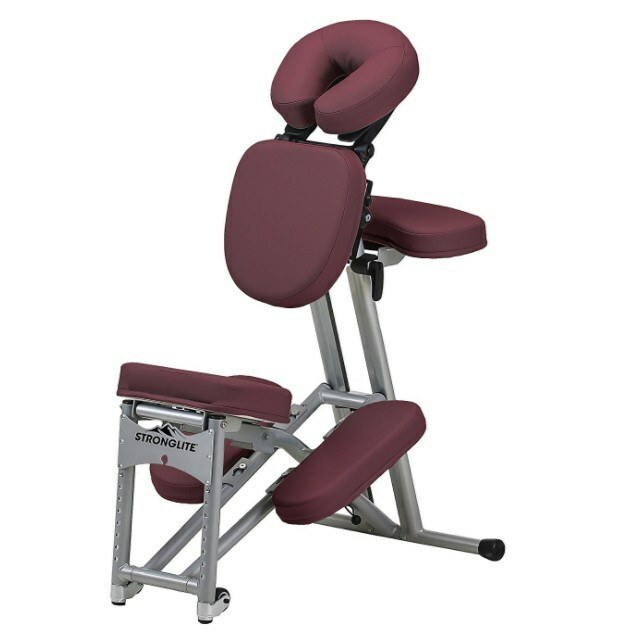 As for chair massage it is mainly designed for all the upper-back / neck/shoulder area although some robotic massage chair can reach the low-back and legs. Seated position allows the therapist or the roller to treat these areas in a different way than while laying on a table. Massage chair are mainly used for a quick stress-relief with a head and neck massage. 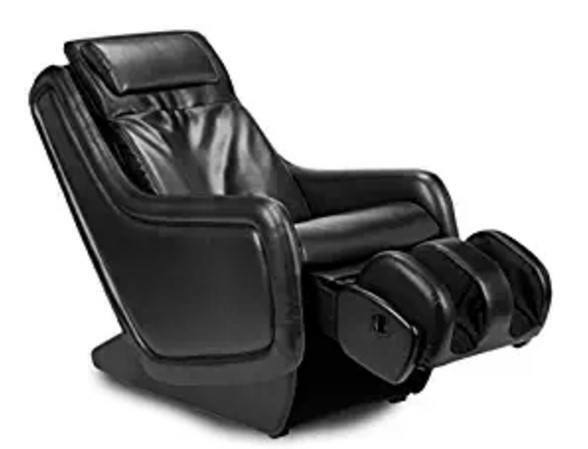 As we stated previously, some expensive electric massage chairs have legs roller which is good for an almost full body massage therapy at home. The main advantage when u get a massage on a table is that the therapist has access to way more spots and potential knots than he would have on a massage chair. A massage chair is often easier to carry (we are not talking about expensive robotic ones here but portable massage chairs) from a client to another than a table (less weight, smaller size). Another pro's of a massage chair is that you don't have to undress (which is a problem for many people) while you can still get tons of benefits in terms of stress and tensions relieve. The most know massage done on a table is the Swedish one. A massage table is perfect for this one. Deep kneading, long soft strokes, stretching and rubbing can be employed on table massage. The technique is focused to localized treatments like trigger point releases and acupressure. Due to seated position, the therapist can apply deep and firm pressure at the back. He or she can use full bodyweight to sustain release of pressure on the muscles. A treatment room is required for table massage to work. The area must be private with no disturbance. It should also be comfortable, warm and cozy to give the clients a relaxed feel. You do not need much space for chair massage. A peaceful corner in an office is enough. Table massage is mostly utilized for spa, clinic and private therapist altough you can buy it to massage your friends/family at home. There is two type of massage chair: the portable ones and expensive electric ones for home usage. On the other hand, the expensive ones which you can't carry around are made to be used at home by all the family. Table massage usually lasts for an hour or so depending on the area of the body that is targeted. Full body massage is 1 to 1 and half hour long. A chair massage is often shorter depending on the therapist or the program you use (if electric chair massage),it can last from 10 to 1 hour. The price depends on the Spa, type of massage, the length of the massage etc but the price range is often between 50 to 150 dollars (USA based price). A chair massage is often cheaper if its a short session (30-60 dollars). These two types of massage equipment have their pro's and con's but serve the same utility: relaxation and pain relieve. On the other hand, a massage chair is a different option to consider depending on your budget and what you want to do. Good electric chairs have an average price of 2000 dollars and classic chairs around 100 dollars.